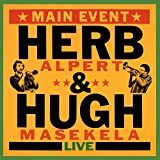 Enter our Herb Alpert Signed CD Giveaway! 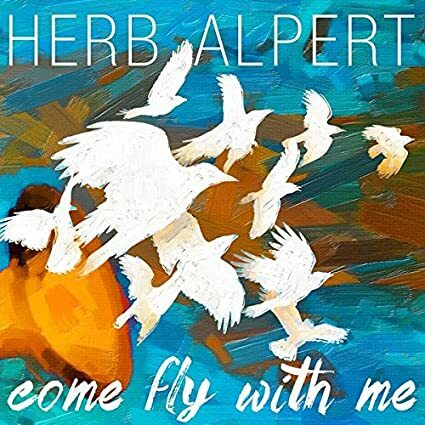 Two lucky winners will win a copy of the latest Herb Alpert CD, Come Fly With Me, signed personally by Herb Alpert and Lani Hall! To enter the giveaway and read the details, visit our forum. Contest ends on Feb. 21, 2016, so don’t delay! Click here to jump over to our forum and enter the giveaway. January 19, 1991: Herb at #1? On January 19, 1991, Janet Jackson’s hit single “Love Will Never Do (Without You)” reaches #1 on the Billboard singles chart. Making a guest appearance on trumpet is our main man, Herb Alpert. This would be Jackson’s fourth #1 hit, and was part of the Jimmy Jam/Terry Lewis produced album Rhythm Nation: 1814. Jam and Lewis would also produce Alpert’s album Keep Your Eye On Me for release in 1990. We are preparing a set of “Official Reviews” of the entire Herb Alpert catalog in our forum. We will begin introducing these reviews over the coming weeks, starting with the brand-new-to-digital releases like Summertime, Coney Island and Main Event Live. These will coincide with the rebuilding of our discography here on the tijuanabrass.com site. We have delayed our new discography due to the availability of the new remasters, so, we will have the latest information available as each new section launches. Check back often! Posted today on the JazzTimes site is an article regarding the reissue of, what, maybe 26 albums by Herb Alpert. The article is indeed confusing, as it seems to indicate that it will only be an iTunes project, and it gets the number of reissues wrong. First of all, we are assured from Herb’s management that there are a total of 26 reissues, of which the Christmas Album and Whipped Cream are a part of. The article mentions first “Whipped Cream plus 26 others,” then lists only 25 albums including Whipped Cream. The releases will not be only on iTunes–other digital downloads will be available (including high-resolution), and CD releases will follow in the future. This is just a clarification for those who were confused by the article. We will always post only official information here at the site, so stop back often for the latest. The legendary composer and producer Allen Toussaint (77) passed away Monday, Nov. 9 while on tour in Europe. Tijuana Brass fans will remember him as the composer of the track “Whipped Cream” from the famous album of the same name (written under the pseudonym Naomi Neville, his mother’s maiden name). This tune was used as one of the themes for the popular game show The Dating Game in the 1960s. Join our remembrances and read the press release at the A&M Corner Forums.